Market your Home Globally. Locally. Socially. Over 78% of America is on Facebook. 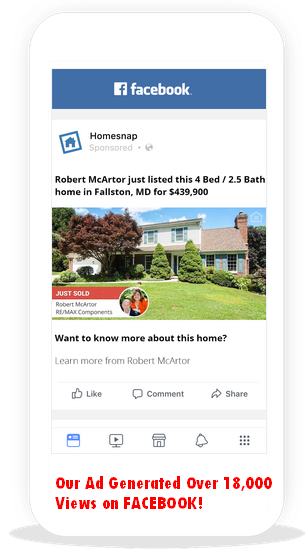 We target your listing to everyone on Facebook within your zip code, and to everyone looking for a home just like yours. We place special text in your MLS listing description so that everyone can find your awesome marketing video we produce, no matter where they find your home online. ​Our website gets over 12,000 unique visitors every month. Your listing will get preferred placement in any relevant search results on our website. Unique Services our Clients Enjoy! Marketed on Zillow, Trulia, MLS, etc. Top Placement on This Website! Complimentary Plan for all our Sellers. Color Postcards, Signs, Open Houses and More! NEW! For Vacant Properties. Complimentary Virtual Staging!